IFA 2015: JBL unveils Everest wireless, noise-cancelling headphones | What Hi-Fi? The range includes a mixture of in-, on- and over-ear designs, led by the the flagship model, the Elite 700 (pictured above). Priced at £250 and available in either black or white, these over-ears feature a number of JBL technologies designed to improve both wireless and noise-cancelling performance. This includes the company's NXTGen Active Noise Cancelling tech and TruNote, which claims to calbrate the sound according to the fit of the headphones to your ears. There's also a JBL Headphones app which brings with it additional settings and features. JBL claims a single charge of the Elite 700s should be good for over 15 hours of play time. Drop down a model and you arrive at the standard Everest 700s (£170). 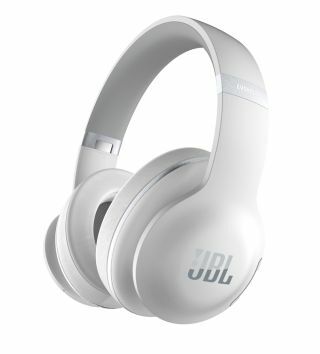 These forego the NXTGen active noise cancelling and TruNote tech but add ShareMe 2.0, which JBL claims enables you to connect with any brand of Bluetooth headphone and share music movies and games. Next comes the £120 Everest 300s. They boast virtually identical specification to the normal 700s apart from the fact that they're an on-ear design as opposed to over. Last, but by no means least, come the in-ears of the family, the Everest 100s (pictured above). They lose out on all the noise-cancelling and calibrating tech but they are wireless and will be available in white or black.